Great , only stayed a night so cant give it the justice it deserves. Big rooms, spacious as. Swim out lagoon is excellent. Staffs are all friendly and gave great info about the area. Suggestions about which cafes to go to were all great! The hotel has great pool, room was nice, clean and spacious. The staff was very helpful, girl who was checking us in ( Sheree if I remember correctly) was very helpful suggesting places near by to visit and restaurants where to eat. The beds were so comfy !!!! Pools were beautiful, and the tropical gardens in general, lovely !! We loved the family friendly atmosphere, felt relaxed and at home as soon as we arrived. Staff were really helpful, and obviously happy to be of assistance in regards to information about the area. Generally absolutely loved our stay here, hope to rebook for next year !! The staff were really friendly and helpful. The lady on reception (Nikki) really helped us out with the little amount of time that we had, she gave us some great tips and was really friendly! Comfy beds, great pool, super facilities, friendly staff. The staff at reception were very friendly and accomodating. Lock in a great price for Oaks Lagoons – rated 8.5 by recent guests! 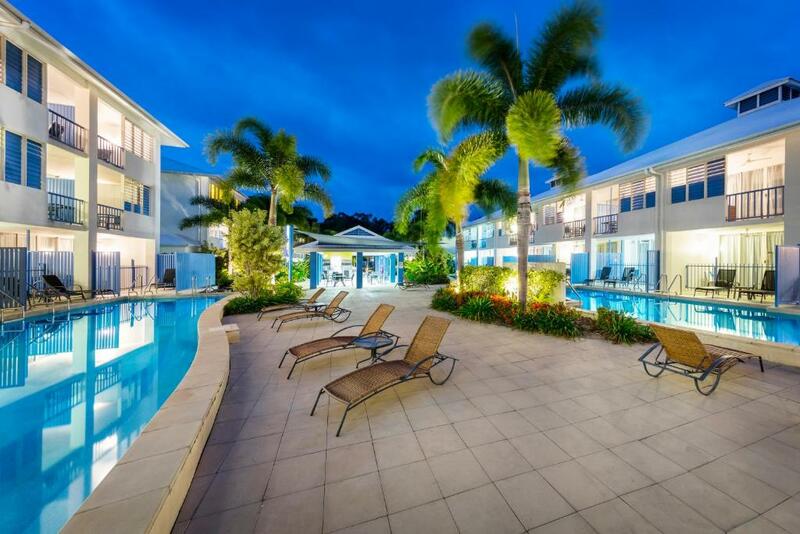 Oaks Lagoons This rating is a reflection of how the property compares to the industry standard when it comes to price, facilities and services available. It's based on a self-evaluation by the property. Use this rating to help choose your stay! Whether you want to can relax by one of the resorts 6 lagoon-style pools or explore the world-famous Great Barrier Reef and Daintree Rainforest, Oaks Lagoons is the place for you. Guests enjoy 30 minutes of free internet access per day, per room. Accommodations varies from hotel rooms with large corner spas to 1 and 2-bedroom apartments with kitchen and laundry facilities. There are also rooms with swim out option and apartments with access to a plunge pool and spa. 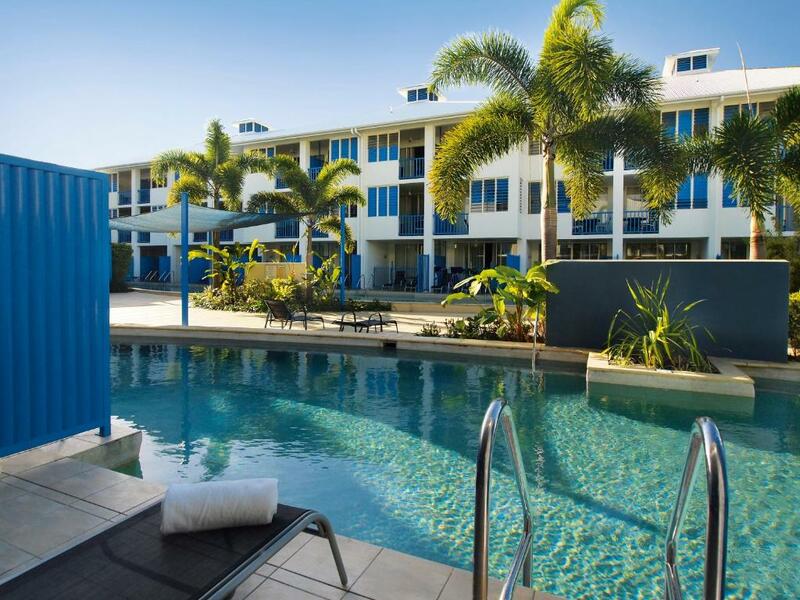 All units have air conditioning, king-size beds, internet access and balcony. 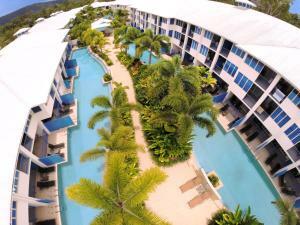 The new Oaks Lagoons is located just a short stroll from the Four Mile Beach at Port Douglas. When would you like to stay at Oaks Lagoons? This air-conditioned room features a private balcony with a large spa bath. It includes satellite TV, a DVD player and tea and coffee making facilities. This air-conditioned room features direct access to 1 of the 6 lagoon-style swimming pools from its private balcony or patio. It includes satellite TV, a DVD player and tea and coffee making facilities. This air-conditioned apartment features full kitchen and laundry facilities, and a living room with a sofa bed and a desk. This air-conditioned apartment features direct access to the lagoon-style swimming pool from its private balcony. It also includes full kitchen and laundry facilities, and a living room with a sofa bed and desk. This air-conditioned apartment features a private plunge pool and a large courtyard area with lounge chairs. It also includes full kitchen and laundry facilities, and a spacious living room. This spacious air-conditioned apartment features a private balcony with a hot tub. It also includes full kitchen and laundry facilities. This air-conditioned apartment features direct access to the lagoon-style swimming pool from its private balcony. It also includes full kitchen and laundry facilities, and a spacious living room. This air-conditioned apartment features a private plunge pool, a hot tub and a large courtyard area with lounge chairs. It also includes full kitchen and laundry facilities, and a spacious living room. This spacious air-conditioned apartment features interconnecting rooms and a large corner spa tub on private balcony. It also includes full kitchen and laundry facilities. This air-conditioned apartment features direct access to the lagoon-style swimming pool from its private balcony. 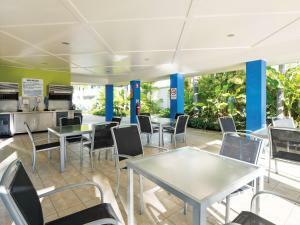 It also includes full kitchen and laundry facilities, interconnecting rooms and a spacious living room. Situated in Port Douglas, one of Tropical North Queensland’s most desired holiday destinations, Oaks Lagoons offers both hotel and deluxe apartment style air-conditioned accommodation with a range of leisure facilities and easy access to the magical Great Barrier Reef and Daintree Rainforest, making it the perfect holiday destination. 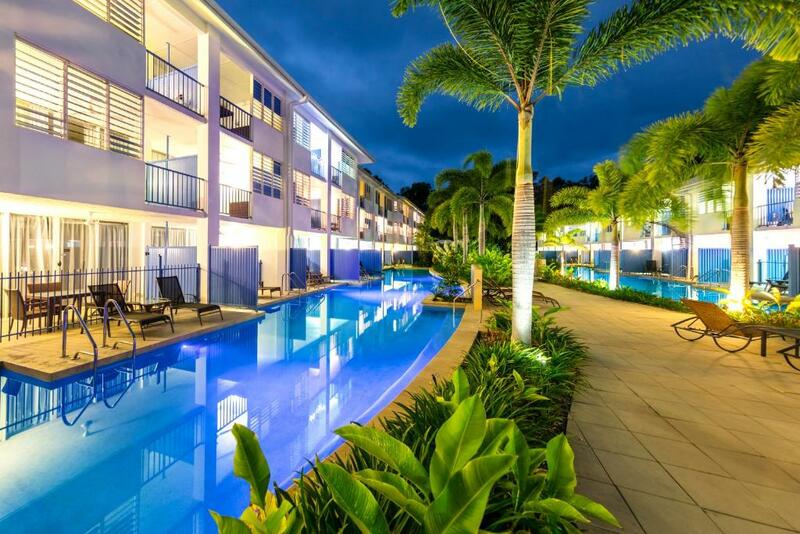 We are an ideal base to explore the delights of Port Douglas whether visiting the Great Barrier Reef or immersing yourself in our world heritage rainforests, or just chilling by the pools for a well deserved rest. We are close to a range of local attractions as well as restaurants, cafe's bars and boutique shops. House Rules Oaks Lagoons takes special requests – add in the next step! A AUD1 damage deposit is required on arrival (around USD0.70). This deposit will be fully refunded 14 days after check-out, as long as there isn't any damage to the property. Oaks Lagoons accepts these cards and reserves the right to temporarily hold an amount prior to arrival. Please note that you must show a valid credit-card upon check-in. Please note that daily room cleaning is not included in the rate. Cleaning services can be purchased at any time during the stay. Guests will have the choice of cleaning service options, at an additional cost, upon check in at the hotel. For guests staying more than 8 nights, a full cleaning service will be provided free of charge in the middle of your stay. For guests staying more than 12 nights, a full cleaning service will be provided free of charge every 7 days. A damage deposit of AUD 1 is required on arrival. That's about 0.70USD. This will be collected by credit card. You should be reimbursed within 14 days of check-out. Your deposit will be refunded in full by credit card, subject to an inspection of the property. No sheets on foldout bed. Spacious private quiet apartment. The beds and pillows were very comfortable. Close to main street and beach. A designated car spot for the room. The shower pressure was terrible! I ordered this room because it said it provided two double beds, so was disappointed that one of the rooms had two single beds in. Bed was very comfortable and room was very spacious. Pool area is great. If I had to really pick, the shower head was a bit crap. Excellent value considering the swim out room into the pool. Bed was super comfy. Close walk to the Beach Shack for a nice meal. Great staff at reception, very warm and helpful. Lovely room and private plunge pool was excellent. Location was perfect. The local transport is a great idea and at $5 each way it is an excellent way to indulge in the night life without worrying about drinking and driving. The markets are very good lots of interesting local artists and food. Shop owners were all very friendly and helpful. Accomodation was really nice, very spacious 2bed apartment, everything you need in the kitchen, comfy bed, great pools.